Q.1 Whether such teachers who are working on the post of Assistant Professor and never done one year S.R. ship are eligible for Associate Professor after completion of 4 years as Assistant Professor or not? Ans. Yes, they would be eligible as the amendment notification dated 5th June, 2017 would be applicable prospectively from the date of notification for appointment/promotions. Q.2 The amendment notification dated 5th june 2017 amending Schedule I, Clause 6 pertaining to the appointment of recoginzed PG Teachers, this Clause 6 pertains to PG Courses only. Whether old rules will apply for colleges where there are no Post Graduate courses or where there are non PG colleges. Ans. The amendment notification has been made in the TEQ Regulations and is applicable to both undergraduate and postgraduate courses. Q.3 In this notification there is no clarity regarding the residents who are already working on the post of senior resident after passing DNB or Diploma course whether they can continue to hold the same post as per old rules and regulations and upto what age. Ans. The amendment notification dated 5th June, 2017 would be applicable prospectively from the date of notification and will not have any effect on appointments/promotions made before the date of notification so residents already working on the post of senior resident after passing DNB or Diploma course will continue to hold the same post. Q.4 Many senior residents have been appointed in various departments before this notification, who have attained the age of 40 years. These senior residents have not yet to complete the tenure of their residency. Can they continue on the same post asper old rules and will be considered for further promotion or they should be retired as they have attained the age of 40 years. Ans. They can continue on the same post and can be considered for future promotions if eligible otherwise since the notification is always applied prospectively. Q.5 Those who are doing post graduation after 40 years of age (because there is no age bar for PG admissions), what will be their fate in an medical college. Can they be appointed as assistant professor (with 2 research publications) ? Ans. Those joining/doing PG after 40 years of age will not be eligible for the post of SR as per Notification dated 5th June, 2017. They cannot be appointed Asstt.Prof. directly after PG and promoted to Assoc.Prof. after 5 years of teaching experience as Asstt. Prof.
Q.6 Whether a person having postgraduation degree in the concerned subject but is not having one year experience as S.R. but having experience as Medical Officer for a period of one year, whether such person can be appointed as Assistant Professor? Ans. No, they cannot be considered eligible. Only experience as Resident/Registrar/Demonstrator/Tutor after MD/MS in the concerned subject in a MCI permitted/approved/recognised medical college will be counted for appointment as Asstt.Prof. Q.7 A person having DNB qualification in the concerned subject, whether such person can be appointed as S.R.? Ans. If the person has done DNB from MCI recognised teaching institution then he/she will be considered equivalent to MD/MS to be eligible as SR and if done from other than MCI recognised teaching institution, then they would have to do 3 years of JR ship in the concerned subject in MCI recognised teaching institution to be eligible as SR.
Q.8 This notification doesn’t clarify the age limit for junior Resident in clinical and Tutor in Pre & Para-clinical subjects. Can a junior Resident & Tutor working in Medical College be of more than 40 years of age or not ? Ans. This notification has prescribed the age limit of SR only. Q.9 What will be the status of such Senior Residents (with MBBS, Diploma and DNB qualifications with experience of more than three 3 years as junior resident) already employed by various institutes as per old criteria? Can they continue or have to be replaced by post MD/MS candidates? Ans. The amendment notification dated 5th June, 2017 would be applicable prospectively from the date of notification for appointment/promotions. However, the person already appointed can continue on the same post and can be considered for future promotions, if eligible otherwise. Ans. No, DNB qualified candidates will also be considered equivalent to MD/MS if they have done DNB from MCI recognised teaching institution and will be eligible as SR and if DNB has been done from other than MCI recognised teaching institution then they would have to do 3 years of JR ship in the concerned subject in MCI recognised teaching institution to be eligible as SR.
Q.11 Does it mean candidates with DNB qualification will not be eligible for the post of assistant professors in future? Ans. If the person has done DNB from MCI recognised teaching institution then he/she will be considered equivalent to MD/MS to be eligible as SR and if done from other than MCI recognised teaching institution then they would have to do 3 years of JR ship in concerned subject in MCI recognised teaching institution to be eligible as SR. They will be eligible after SR ship of one year in the speciality concerned. Q.12 Is MCI letter dated 3rd Sep 2015 on subject superseded? Ans. No, it is not superseded. The notification dated 5th June, 2017 becomes applicable for appointment/promotions/publications with respect to authorship only. All other criteria would continue to be applicable as per MCI letter dated 03.09.2015. Those research papers that have been published / accepted for publication before 5th June, 2017, the benefit of authorship would be given to both first and second author and for papers published/accepted for publication on or after 5th June, 2017, the benefit of authorship would be given to both first and corresponding authors. Q.13 How to decide who to get benefit of publication, first or corresponding author? Corresponding author could be any of the authors. As per amendment only one (First or corresponding author) of them will get benefit? Ans. It is the first and corresponding author both will get the benefit as per notification dated 5th June, 2017. Q.14. Should assistant professor without experience as Sr. Resident be promoted after 5 years as Asstt.Prof. instead of 4 years? Ans. No, this notification would be applicable for new appointments made after 5th June, 2017. Q.15. Kindly clarify the number of years of teaching experience required as Junior Resident/Senior Resident for DNB candidates from non-teaching institutions to be promoted to the post of Asstt.Professor. Since the earlier amendments have been changed many timed and are confusing. Ans. If the person done DNB from MCI recognised teaching institution then will be considered equivalent to MD/MS to be eligible as SR and if done from other than MCI recognised teaching institution then they would have to do 3 years of JR in concerned subject in MCI recognised teaching institution to be eligible as SR.
Q.16. Can the postgraduate Diploma holders such as DCH, DGO, D. Ortho, DA, DDVL etc., after completing one year of experience obtained after their postgraduate diploma and are below 40 years, be considered as Senior Residents? Ans. No. Diploma candidates are not eligible since requirement of academic qualification is MD/MS as per notification dated 5th June, 2017. Q.17. Can MBBS degree holders with 3 years of experience and below 40 years of age be considered as Senior Residents? Ans. No, they cannot be considered as SR. Since requirement of academic qualification for the post of SR is MD/MS as per notification dated 5th June, 2017. Q.18. If suppose one has already worked as an Asstt.Prof. in some other education institution and wants to apply, this clause will be a hindrance as Senior Residency was not a pre-requisite then. So If any candidate serving as Asstt.Prof., who just after post graduation became Asstt. Prof., if want to apply again in any new institution as Asstt.Prof., he/she will not be eligible. So it will be unfair and a great injustice to them. Ans. No, since you are already on the post of Asstt.Prof. This amendment would not be applicable. It is only for fresh appointments. Q.19. 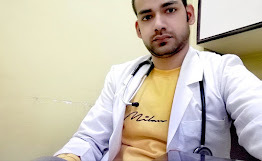 What about the MBBS degree doctors who has worked as Junior Resident in any subject and is considered Senior Resident in that subject after 3 years of Junior Resident in that particular subject whether they will count as SR in private/govt. Medical college? Ans. Those who have already been appointed to the post of SR and on that basis will continue to be counted as eligible in the same institution only. However, no fresh appointment would be made to the post of SR if the candidate does not hold the PG degree. Q.20. Can any Asstt./Assoc.Prof. already appointed before 5th June, 2017 notification, be promoted to Assoc./Professor without completing 5 years/8 years post-PG experience respectively but otherwise fulfilling the eligibility criteria as per notification dated 5th June, 2017? Ans. Yes, they can be promoted to Assoc.Prof./Professor. Q.21. Will the teaching experience of MCI permitted/approved institutes be counted for eligibility of all posts?Ans. Yes, teaching experience gained at any MCI permitted/approved/ recognised college will be counted for eligibility for all posts. Q.22. Can a JR (with MBBS qualification) or PG student be considered as Tutor in pre and para clinical department ? JKPSC: Online applications are invited for the posts of Lecturer in diffrent disciplines in Health & Medical Education Deptt.